Wildcats are 25 per cent bigger than a pet tabby. They are nicknamed ‘Highland Tigers’, they were in past centuries attributed with near-mythical fierceness and feared capable of killing sheep and even a man. In fact, they actively avoid human contact. Wildcats are native to Britain and were once found throughout England and Wales as well as Scotland. They are now confined to the upper Highlands of Scotland. These animals are elusive and to see one in the wild is an incredibly special event. 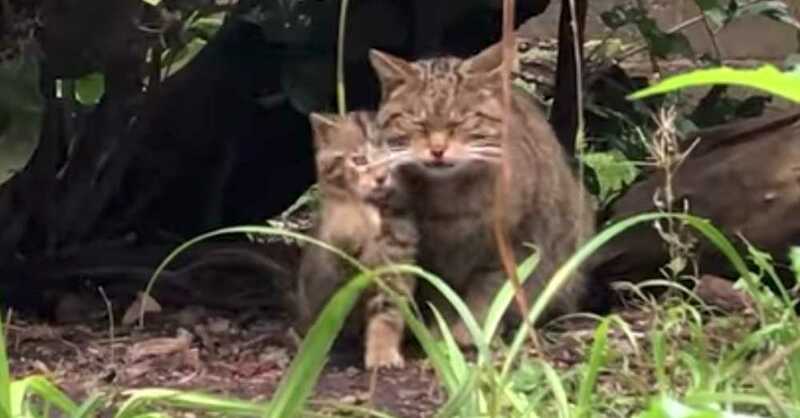 It is also known as the Scottish Wildcat. Its thick fur and bushy, banded tail keep out the wet weather and unlike the domestic cat, the wildcat is not opposed to the occasional swim. 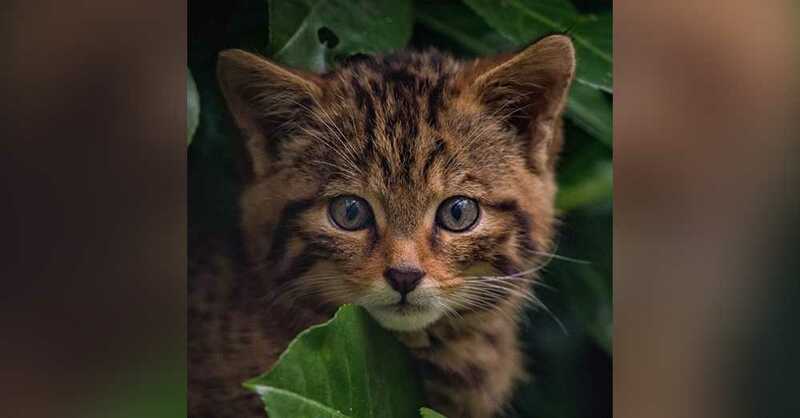 The baby wildcat was born in August, to cat parents Einich and Cromarty. It wasn’t until December the elusive kitten was finally caught on camera, however. 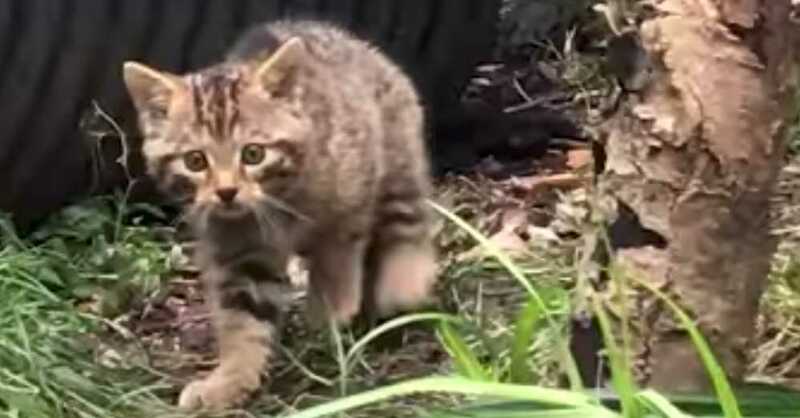 The Scottish Wildcats enjoy their privacy and don’t like crowds of people around. The zoo used non-invasive trail cameras that could capture the wildcats in a digital image without requiring a staffer to invade their territory just to snap a few quick pics. 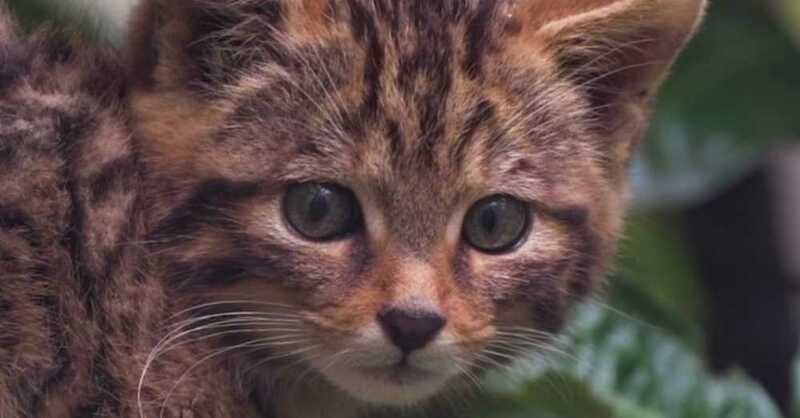 Several conservation bodies are working to save the Scottish Wildcat from extinction. Their efforts include a captive breeding programme, a programme to vaccinate and neuter feral, farm and pet cats and the monitoring of habitats. Watch these beautiful animals in the video below!